cost dental implants in Mexico are a major draw among patients from the US and Canada where high healthcare costs pose as a deterrent for many. Mexico’s proximity to the U.S. and Canada, its excellent healthcare system, low cost of dental care, and the presence of experienced dental surgeons have contributed to the spiraling of dental tourism in Mexico. Mexico’s border towns, such as Tijuana, Los Algodones, and Juarez, have witnessed a tremendous growth in dental tourism in the last few years. In an article titled More Fun Than Root Canals? 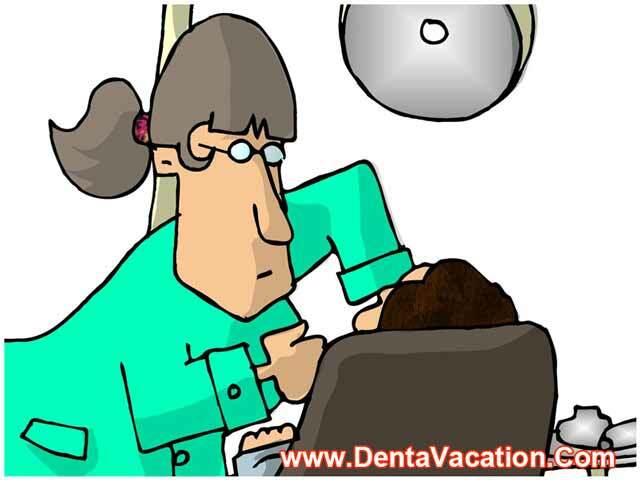 It’s the Dental Vacation by Camille Sweeny published in The New York Times on February 7, 2008 , it was reported that about half a million Americans sought medical care abroad in 2006. Out of this whopping figure, 40 percent were dental tourists. Popularly termed as “dental holiday“, a vacation abroad for affordable dental treatment is a perfect way for the Americans to escape the extortionate cost of dental work in their home country. 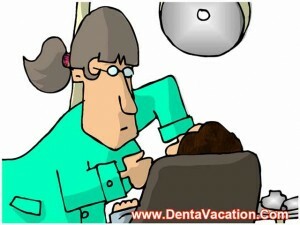 The economic downturn too has contributed to the rise of outbound tooth tourism in the US. Dental implants cost in Mexico is much lower when compared to what one will have to pay for in the developed countries. 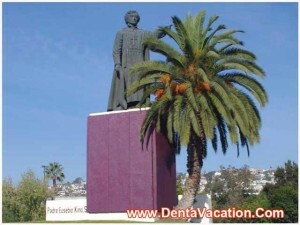 Cost of dental implants in Tijuana, Los Algodones, Puerto Vallarta, and other Mexican cities is low as the living expenses in Mexico are low in general. Many dental surgeons in Mexico have received their training in the leading medical schools of the US and Europe and employ comparable dental treatment techniques as employed in the US, the UK, and Canada. Most of the renowned dental clinics have bilingual staff, thereby easing the process of communication. You can also avail discount packages for getting teeth implants in Mexico. Another benefit is that you don’t have to bear any long waiting times before getting your tooth implant in Mexico. Another reason for the popularity of dental implant treatment in Mexico is the excellent health system of Mexico, which is comparable to the health systems of the developed nations of the world. A dental vacation to Mexico provides an opportunity to indulge one’s senses in a plethora of wonderful sights that the beautiful country has to offer. The modern luxurious resorts, pristine natural reserves, beautiful beaches, and exotic festivities, truly set Mexico apart from the other medical tourism destinations. Mexico is home to some of the most beautiful beaches in the world. Enjoy the fascinating colonial architecture at Morelia, the historical sites at Guadalajara, the Talavera pottery at Puebla and the archeological sites at Merida. Visit the Chichen Itza, the Mayan archeological site that has been chosen as one of the new Seven Wonders of the World. Enjoy the bountiful nature in Mexico by exploring the second largest coral reef in the world and by visiting the Monarch Butterfly Biosphere Reserve. Make sure you ask your dentist in Mexico to provide you with testimonials and the before-and-after-pictures of the dental implant patients. Get all the information about the dental implant procedure beforehaand. Inform your dentist in your home country about your decision to get dental implants abroad. You may need his/her assistance after your treatment. Visit forums on the internet to get rid of your dental anxiety, if you have any. Getting dental implants in Mexico is truly a perfect way to enjoy the best of the two worlds – an affordable and world-class dental treatment and a vacation that leaves you rejuvenated.